Bondo Dorovskikh traveled to eastern Ukraine last year to join separatists in their war against Kyiv. He soon quit the rebels in disillusionment because they turned out to be more like a “criminal gang” — not what Russian TV promised. He mulled switching sides, but was dissuaded. Now, the 41-year-old Russian plans to take up arms as a volunteer fighter on a different front: Syria, where a devastating civil war is sucking in foreign powers and pitting rebel groups, Islamic State (IS) militants, and forces loyal to President Bashar al-Assad against each other. Since January, Dorovskikh has been gathering groups of like-minded Russians seeking to fight against IS. On September 22, a group of 12 Russian men set out for Syria, while he said he was due to follow in a few days. There are thought to be thousands of Russians, many of them from the mostly Muslim regions of the North Caucasus, fighting alongside IS and other Islamist militants against the forces of Moscow’s ally, Assad. Dorovskikh, however, said he would be fighting against IS, alongside a Kurdish Peshmerga unit, forces formally supported by Russia. 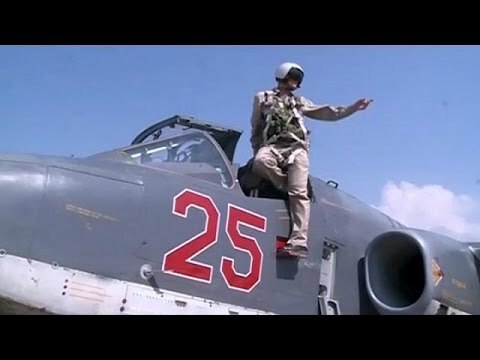 Russia launched a campaign of air strikes against Assad’s foes in Syria on September 30, dramatically deepening its involvement in the war after a big military buildup in the coastal Latakia Province. But the timing of Dorovskikh’s plunge into the fray appears largely coincidental. He said he tried to establish contact with the Syrian authorities in Damascus and with pro-government groups in order to enlist as a volunteer, but was unsuccessful. In the end, he only managed to establish contact with Kurdish forces. Russia acknowledges sending advisers to Syria, in part to help the military use weapons provided by Moscow, but Putin has vowed not to deploy ground troops — at least for now. There have been reports of Russian volunteers fighting on the government side at various times in the more than four-year war that has killed some 250,000 people. The route for Dorovskikh’s volunteers takes them to Sulaymaniyah in Iraq’s Kurdish region, and then into Syria, he said. He said they were not being paid to fight and were required to pay their own way to Iraq, obtain their equipment, and bring $200 a month for expenses. Dorovskikh said he had no interest in taking sides in Assad’s showdown with his foes. “We are going there exclusively to fight Islamic State. We have no desire to take part in supporting revolution, or in supporting Bashar al-Assad, we are going exclusively to fight terrorists,” he said. His yearning for battle appears to have been heightened by his experience fighting alongside separatists in eastern Ukraine, in a conflict that has killed more than 7,900 people since April 2014. Pumped up last year by Russian state TV reports that portrayed the conflict as a struggle against bloodthirsty Ukrainian “fascists” bent on genocide, Dorovskikh joined Ghost, an anti-Kyiv rebel group led by Aleksei Mozgovoi, who was assassinated in May 2015. Dorovskikh was posted in rebel-held territory in the Luhansk region and given a gun — but said he soon found that rather than fighting, the rebel fighters spent their time looting and getting drunk. Disillusioned, he left the rebels and briefly flirted with joining the Ukrainian National Guard, he told RFE/RL.